MJ Backhouse offers pest control services to homes, offices, factories, fields and shops accross the Huddersfield region. 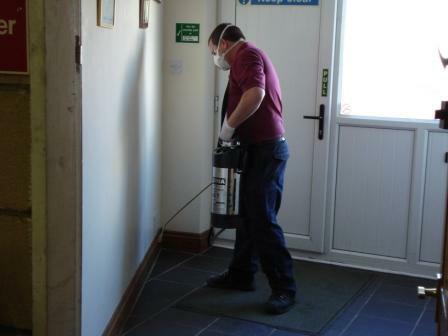 Open 24 hours a day, 7 days a week our service ensures that we are always available to deal with any unwanted pests. MJ Backhouse provides a broad range of pest control servicest to domestic properties and commercial and rural businesses accross Yorkshire. We are on hand to remove those unwanted pests including: rats, ants, flies, bees, insects, wasps, mice, fleas, beetles, squirrels, pigeons and birds, moles and rabbits.